Recently, police inspectors in Pilar, Argentina’s Buenos Aires province, were questioned about the disappearance of 540 kg (or approximately 1,190 pounds) of cannabis. The best answer they could come up with was that drug-addicted rats ate the entire stash. The humorous ordeal began in April 2017. Javier Specia was relieved of his duty as head of the police department by his partner, Commissioner Emilio Portero. Both worked in the town of Pilar, located 60 km from the Argentine capital of Buenos Aires. As VideoShock reports, protocol dictates that when command transfers, an inventory of everything left in the hands of the successor must be accounted for and signed. Though the inventory was allegedly conducted, it was never signed by Specia. This made Portero suspicious. After some contemplation, he contacted the Division of Internal Affairs of the Police. This prompted an official inventory to be taken. After the inventory, a National Gendarmerie reported that approximately 540 kg of a 6,000 kg “pot bust” was unaccounted for. 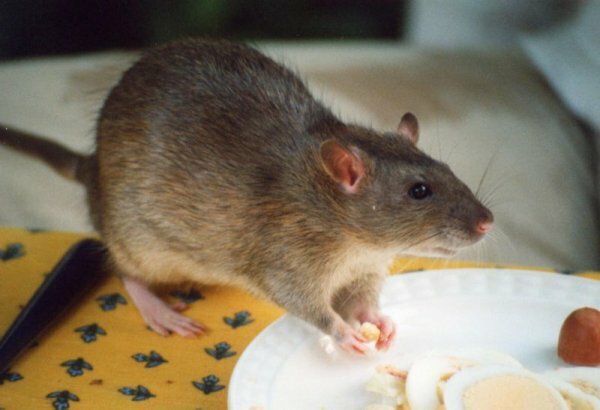 When questioned by Judge Adrián González Charvay, Specia and his three subordinates all said that the 540 kg of pot had been consumed by drug-addicted rats. After a thorough review, Internal Affairs did not find any truth to their claims. Unfortunately for the former Commissioner, the story didn’t hold up. So far, no disciplinary action has been taken. However, Specia and his colleagues are due in sovereign justice next month.
? Samadhi- How To See Through The Illusion Of Self (Documentary) EU Passes Ban On Controversial Pesticides That Harm Bees ?